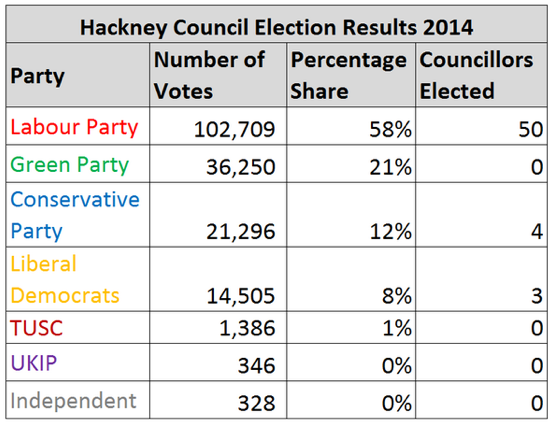 Hackney result shows what we are up against! So the Tories and Lib Dems get 7 seats between them and the Green Party gets NONE despite gaining more votes than both of them put together!! And just in case you haven’t noticed, Greens poll more than 100 times the votes that UKIP get. And just for good measure, Labour get less than three times the green vote and get clean up 88% of the seats (with 58% of the votes.